As you experience the excitement of finding holiday gifts for family and friends in Historic Town Center, join the hunt for Grove City’s Nutcrackers! The Grove City Town Center Nutcracker Hunt is a fun way for friends and families to experience the festive holiday atmosphere of the Heart of Grove City from Saturday, Nov. 24 to Friday, Jan. 4. Download your Nutcracker Guide today and let the adventure begin! Hunt for 10, 20 or 30 nutcrackers strategically located in buildings throughout historic Town Center. Choose from three prize levels. Each nutcracker has a number. Write down the number assigned to each nutcracker with its location. 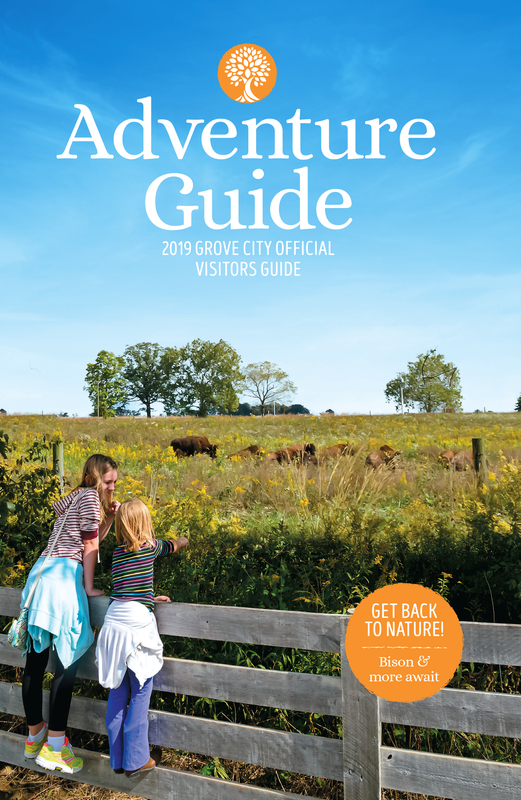 Visit Grove City, 3995 Broadway – Open: Monday – Friday, 9 a.m. – 4 p.m. and Saturday, 10 a.m. – 4 p.m.
Grove City Parks and Recreation, 3226 Kingston Ave. – Open: Monday – Thursday, 8 a.m. – 8 p.m. and Friday, 8 a.m. – 5 p.m.
Bring your completed cards by 5 p.m., Friday, Jan. 4th to and be sure to share your Nutcracker Hunt photos and adventures on social!